This past weekend we attended a family wedding and as the bride and groom had their first dance together out on the dance floor, my mind raced back to when my husband and I first started dating and the songs that still make me think of him. When we first started dating, we were in a long-distance relationship. We would see each other once a month for a long weekend and miss each other terribly in between visits. Throughout that first year, he would create a "mixed tape" of music playlists that he would burn on various CDs for me and leave them for me to listen to while we were apart. She & Him (Volumes One and Two) were full CDs he burned for me and I would listen to them on repeat in the car. It's funny how memories and songs slip through our minds on random occasions...It occurred to me, at the wedding, that I had not listened to these CDs, or their music, in quite some time. 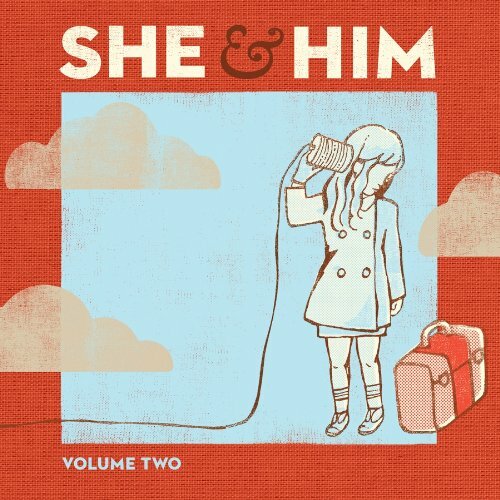 We even attended a She & Him live concert when they were in town a few years ago, but it's been a while since we played these albums. Sounds like the perfect time for us to dust off these CDs and get them back in our regular rotation of background music. Isn't Zooey Deschanel in this band? Nice review. @tramaine_ray Yes she is. We saw them in concert a few years back and they were so awesome to see LIVE. We made mixed tapes, too! I keep them, even though I no longer have a way to play the tapes. Actors from Eddie Murphy to Don Johnson to Lindsay Lohan record albums so that we can laugh at their hubris and casually dismiss all their efforts. The cheap assignment writing service story is very common, it's created a Hollywood archetype, the actor-turned-singer-turned-punchline. Family weddings always being too perfect but with the out of budgets on the dresses and some essentials for the functions I love it. If any family member wedding during case study writing will come I will definitely miss or maybe skip that wedding. I would do something else. I know that many students used to use writing services. Is it good? I think that we should learn more about writing. And why not? It is definitely one of the most relevant skills. I think that we should teach it better. Or our students will continue using all those writing resources, and I don’t sure whether it good or not. Yes, writers who work on each of those resources is very talented and would write anything at a high level. See 6dollaressay reviews to be sure.